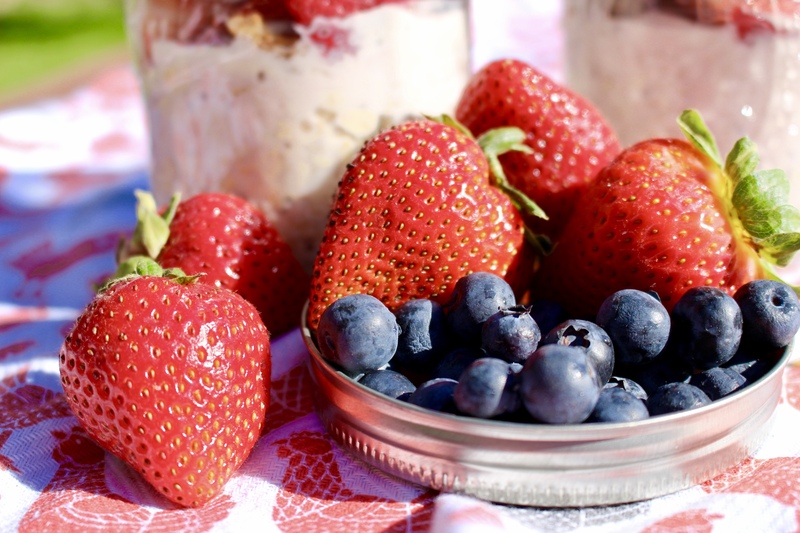 Refrigerator Oats: What Does Summer Taste Like? As a writing teacher, I ask my students to think concretely about the abstract. In the first week of June, as the promise of vacation slides into our backpacks, I ask my students to describe summer. Their foreheads crinkle, review-packet- glazed-eyes squint, and the consensus becomes one simple word: F R E E D O M.
By the end of the school year I feel it too. 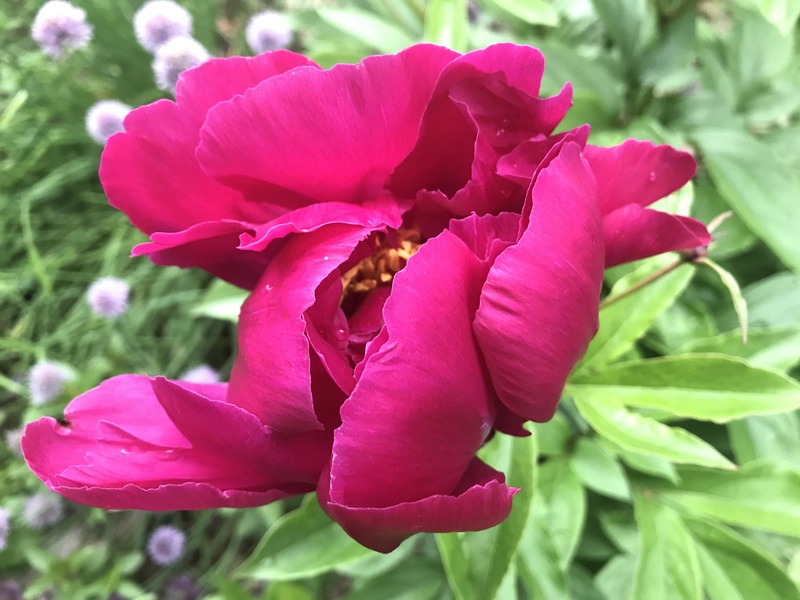 Yet, “What does freedom taste like?” I press.“What does it sound like?” “What does it smell like?” “What does it look and feel like?” How can we make summer tangible in our minds and in our writing? Ask my family what the freedom of summer feels like and my step kids will say a sticky river of watermelon juice flooding down their face. Or a cup of strawberry lemonade abandoned on the pool deck, now warm and syrupy, complete with a hovering dragon fly. Avalon will say that freedom tastes like peanut butter cup S’mores – the marshmallow roasted to a golden brown on the fire pit in our backyard. Lukas will lick his lips and say it tastes like tuna steak, grilled to medium rare perfection by Dad, and a lemon sauce made with the dill he planted. 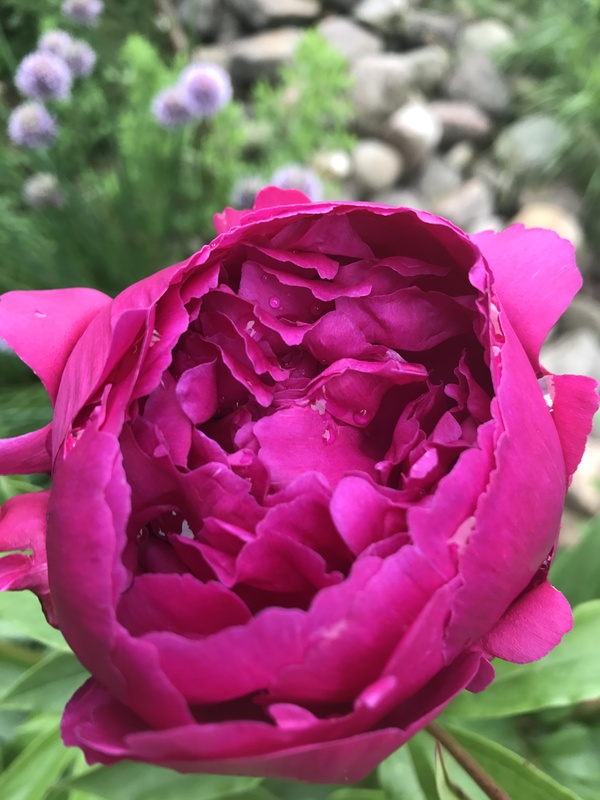 Summer looks like an air mattress thrown next to the pond, so Avalon and I can memorize a swath of black velvet sky and wish on shooting stars until the grass grows damp and we fall asleep, John later rousing us to go inside. It is a thick stack of books from the Peter White Library and a tent pitched by two industrious kids in our apple orchard to serve as a reading nook. It is flipping through each book at the end of the day to make sure a snake does not find its way into the house again as a stowaway. It is our lazy Golden Retrievers Ollie and Gracie lounging in a puddle of yellow sun, a whippoorwill’s mysterious call on the Whitefish River, and early mornings at McCarty’s Cove as we comb the icy, lace edged waves for beach glass. 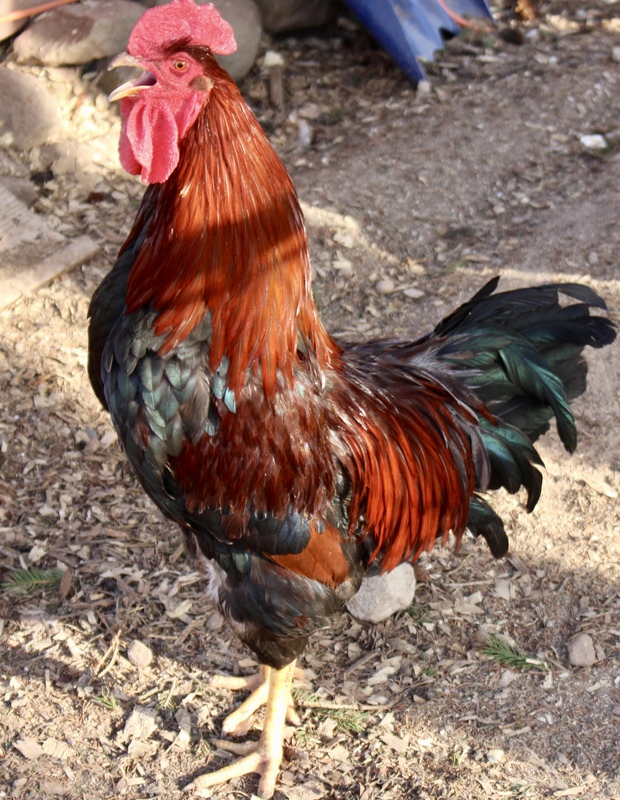 July sounds like Shakespeare our rooster crowing under our bedroom window at 5:00 am as the decision arrives to either sleep in, or rise early (and indulge in an afternoon nap). It is a brown egg, still warm, in the palm of your hand as it plinks into the galvanized bucket to the soothing warble of a plump red hen. 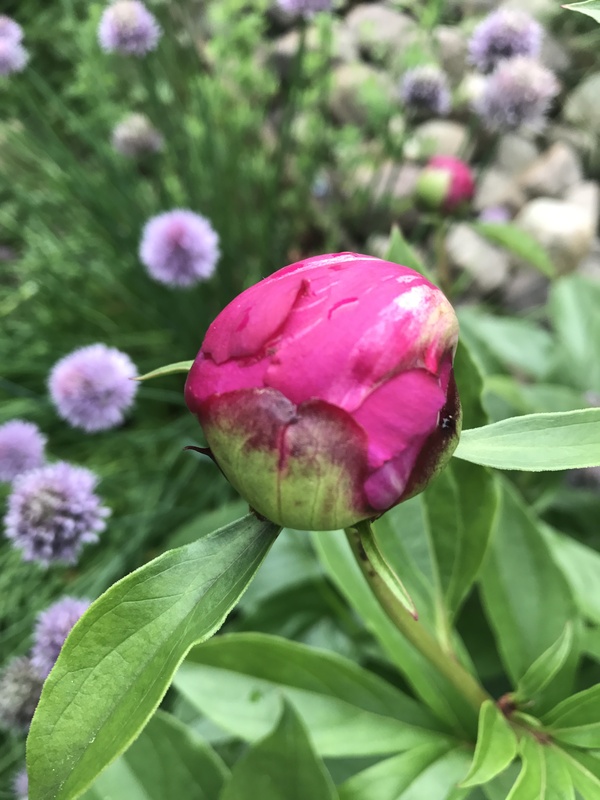 It’s the earthy smell of pine shavings in a freshly shoveled coop, the spicy aroma of star gazer lilies, and a humid thicket of sky that aches chartreuse and then bruised plum after an urgent rain storm. It is a tear escaping your eye when you see veterans marching in the parade, goose bumps when you hear sirens of those who protect and serve, and it is gathering up camping chairs and beach blankets (sometimes for warmth) to watch fireworks sparkle and pulsate across the backdrop of the Ore Dock at the Lower Harbor, over Teal Lake, or in Trenary. Can you tell that I am a summer girl? Summer takes my breath away and makes me feel that we are part of something magical. Yet, we all know how fleeting our summers are in Upper Michigan. 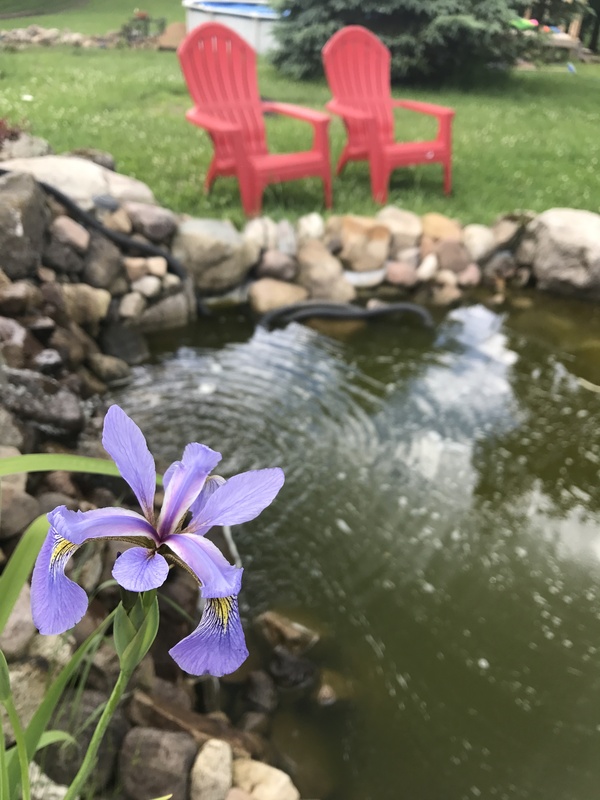 Even when I find myself watering the garden, or packing for a family road trip to Muskegon to visit my in laws, I find that I am always pondering the upcoming school year and planning ahead. What worked last year and what will I repeat? What new resources do I have to gather? How can I more efficiently balance my schedule of work and family? How can I stay healthy and keep up with my classroom full of challenging teenagers? Last year one of my secret weapons for keeping my energy levels up and being prepared for work was making sure that I had my breakfast planned the night before. We have been told forever that breakfast is the most important meal, yet many people will confess to grabbing heavily processed convenience foods or skipping the meal all together. That is why overnight oats was a game changer for both my husband and I. Since I can prepare the oatmeal days in advance, our mornings are reserved for coffee, taking care of farm chores, getting the kids up, a quick kiss, and hustling out the door to work. The basic recipe that I am going to share is consumed cold (think yogurt and fruit parfait). I know it sounds strange to not cook the oatmeal, but it softens and takes on a pleasing texture in the refrigerator. If you would rather have a hot breakfast, you can find recipes for warm versions online, or you can omit the yogurt and heat in the microwave. I use wide-mouthed one pint mason jars and prepare them up four or five days in advance. 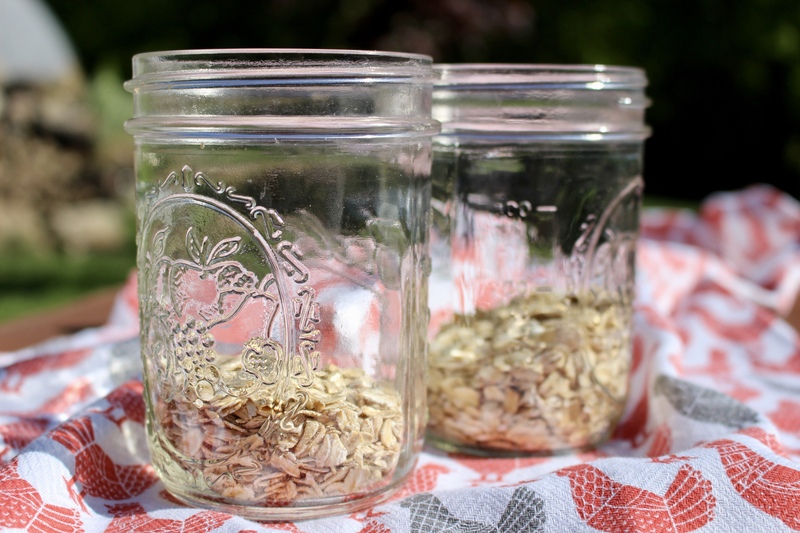 The glass jars keep the ingredients fresh, are easy to wash, I always have them on hand, and make the oatmeal visually appealing. I like to make a couple extra because my step daughter Avalon likes to take the oatmeal to school as a filling and healthy breakfast, lunch, or snack option. They are so easy to prepare that if I did not prep on Sunday, I can throw them together each night when I take care of the dinner dishes. Add the above ingredients into the jar and stir well. Top with sliced fruit and/or berries (fresh or frozen), nuts, or any other toppings that you want to add. The oatmeal provides you with filling fiber and packs a punch in helping your body fight cholesterol. The chia seeds and nuts give you Omeg-3 and fatty acids, the yogurt gives you a protein boost, and the fruit provides essential vitamins and minerals. How perfect is that? When I prepare our refrigerator oatmeal, I often choose ingredients from what we have in the house. My family enjoys the Greek Gods flavored yogurts and I often buy fat free versions for myself. While I normally buy flavored yogurt, sometimes I will buy plain and stir in flavorings. They are so easy to throw together that you customize them to fit each family member. You can make them healthy, or indulgent, and they are easy to grab and go for work, school, gym, or the beach. 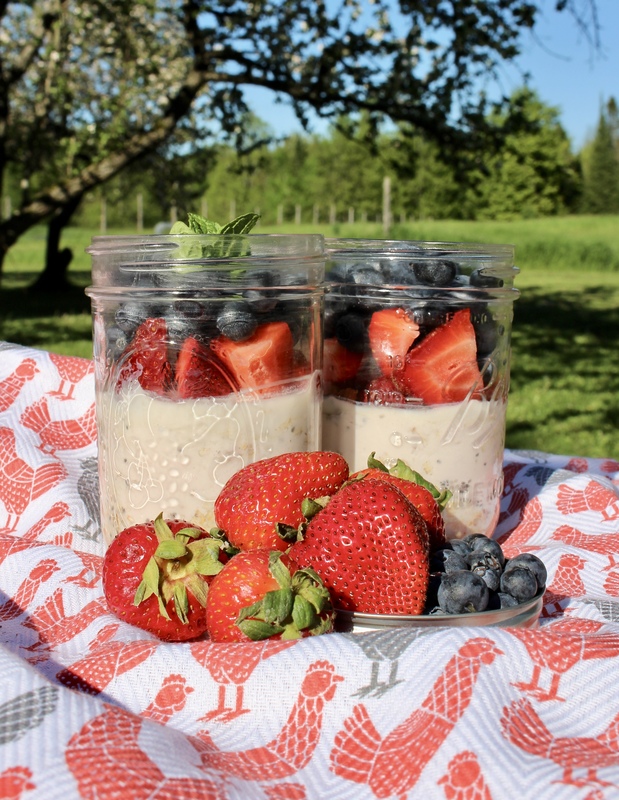 morning, or simply need to change things up, these overnight oats are for you. Make sure to stop by my Facebook page to let me know what you think and please share your favorite refrigerator oatmeal flavor combinations. What does summer look like, taste like, sound like, and feel like for your family? Savor July because before we know it – we will be enjoying glorious Upper Michigan snow! Until then, you can find me weeding the hoop house, chasing aliens, or lounging in the pool and working on my teacher tan (as my husband John affectionately calls it). Memorize the feeling of July and enjoy the freedom we have to live in such a charming, wild, and beautiful place. This entry was posted in Breakfast and tagged breakfast, Healthy Lifestyle, healthy oatmeal. 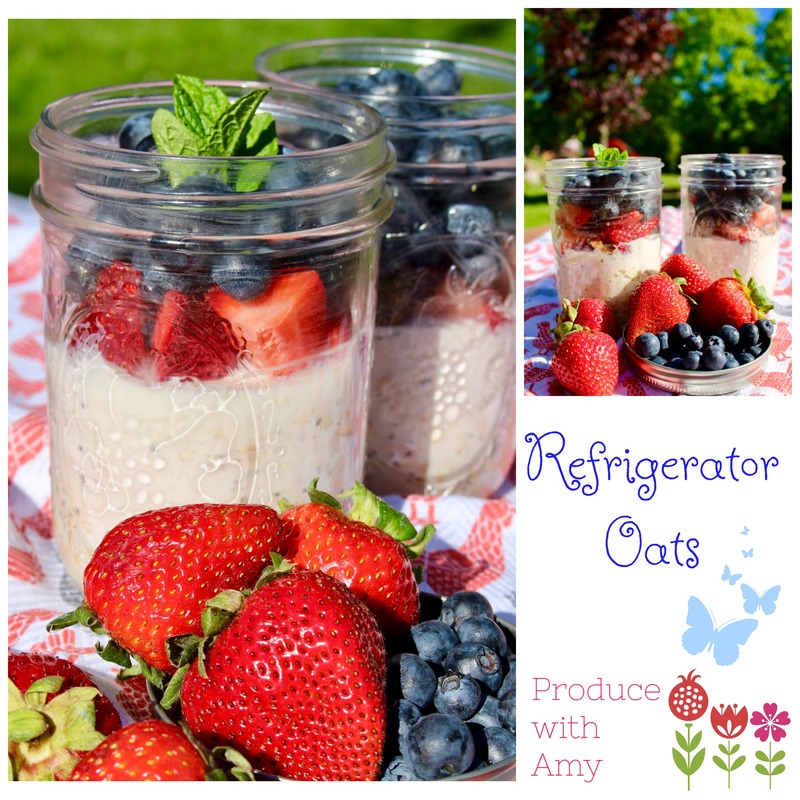 refrigerator oats, Meal Prep, oatmeal, overnight oats, Upper Peninsula of Michigan by Amy. Bookmark the permalink. I really enjoy your writing Amy!